Mexico City (January 14, 2019) – Christie, a leader in creating and sharing the world’s best visual and audio experiences, is pleased to announce that the film “Roma” directed by Alfonso Cuarón and produced by Netflix was recently screened before an audience of 3000 people in the gardens of the Los Pinos Cultural Centre in Mexico, the former official residence of the country’s president, using a Christie CP4325-RGB pure laser projector with RealLaser technology. Winner of the Best Foreign Language Film and Best Director honors at the Golden Globes and Golden Lion Award for Best Film at the Venice Film Festival, “Roma” premiered worldwide on December 14 on the Netflix digital platform. Filmed in 6.5K format, the movie is also on a shortlist for the Academy Awards foreign language film category. 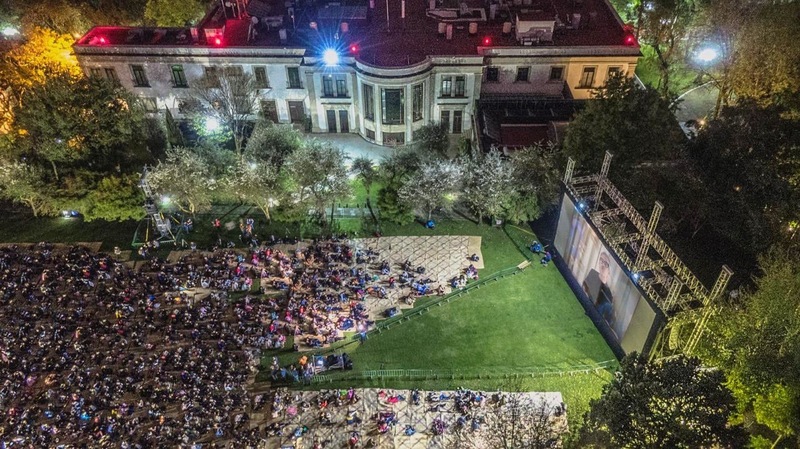 For the space of a few hours, the Presidential Heliport Garden turned into a vast open-air movie theatre where 3,000 people were able to see “Roma” free of charge on a screen measuring 15 metres wide by 7 metres high with Christie RGB laser projection and Dolby 7.1 sound. The screening was organized by Mexico’s Ministry of Culture. Two weeks earlier, “Roma” was shown at the BlackBerry Auditorium in Mexico City, the former Las Américas film theatre, in four separate screenings to a total audience of around 6,500. The theatre was equipped for the occasion with another Christie CP4325-RGB projector, and the box-office receipts donated to the Pienza Sostenible civil association, whose mission is to reconstruct areas affected by the September 2018 earthquake in Mexico. Christie’s relationship with “Roma” goes back much further. Last August, the movie had a limited premiere in two independent theatres in Mexico City: Cine Tonalá in Colonia Roma, the neighbourhood in Mexico City after which the movie was named, and Sala 4 at Cinemanía Plaza Loreto. Netflix equipped both theatres with Christie CP4220 4K lamp-based projectors, which added to the importance of the occasion. The two theatres were fitted with Dolby Atmos and Dolby IMS3000 integrated media servers. Cactus Cinema Services supervised the integration, construction and implementation of all systems.